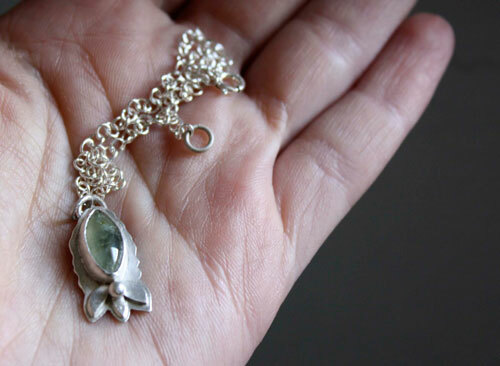 It is made of sterling silver made by hand in my workshop and of a nice prehnite marquise cabochon. 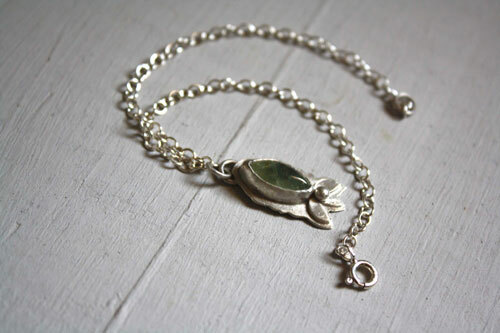 This bracelet shows a cabochon that was bezel set following the natural shape of the stone. It is very poetic due to its roundness and delicacy. 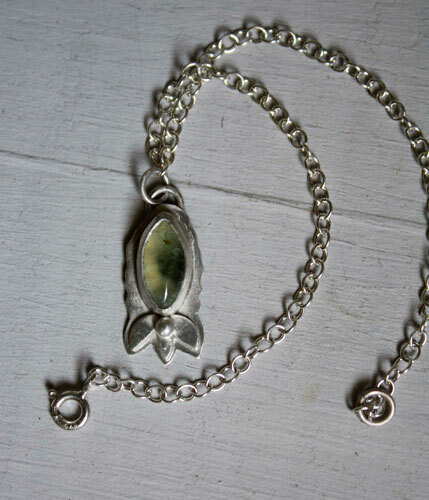 The stone was bezel set in a rustic way. 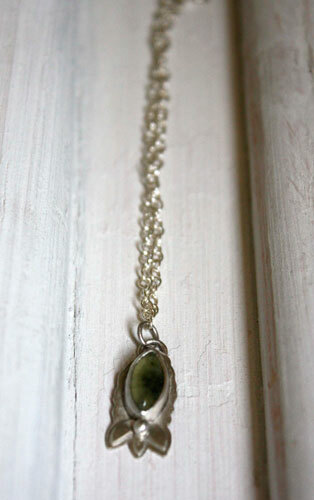 The green transparent color of this prehnite made me think of this new spring time. It reminds me of the joy of living at that time of the year. It is also the symbol of this stone. You feel you want to start all over again. 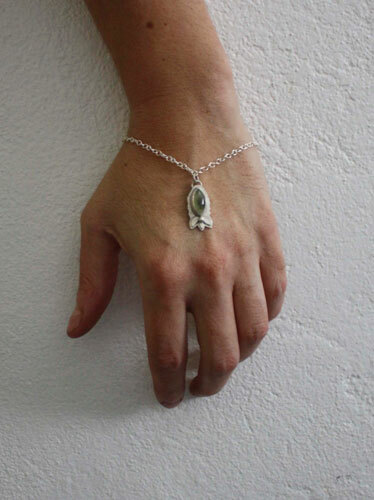 This bracelet is 19 cm long. It is long enough to fasten it on one of the links of the chain. 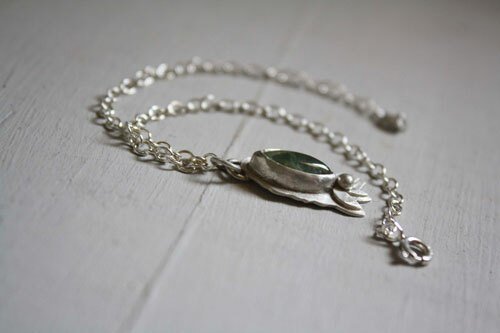 It is finished with a sterling silver link. If you would like to have this link put on a shorter length, thanks for telling me at checkout.